Edo State Governor, Mr. Godwin Obaseki revealed that the state government is involving the Nigeria Security Civil Defence Corps (NSCDC) in settling disputes between herdsmen and farm owners, as part of their duties will be to help government to formulate policies and find a lasting solution to the problem. This was as the governor received the new State Commandant of the Corps Makinde Ayinla Iskil at The Government House during a courtesy visit on Friday. He explained that the issue of herdsmen grazing did not start overnight in the country but they have been doing this for over a 100 years. “Why are we having such a problem and crisis in the herdsmen community relationship? Instead of fighting, let us understand the depth of the problem, and sustenance of whatever resolution we make. We are relying on you to give us intelligent information”. Obaseki said all the issues are been looked at as a state and it shall be nipped in the bud. He said his administration is developing her own internal security plans to complement what the federal government is proving through agencies like NSCDC. “We are in the final stage of coming up with our own community base arrangement, we want to get more members of our community in providing security across the state, we can’t rely exclusively on only Federal authority because security is also local. We see you as a veritable partner. Be rest assured that whatever security plan or arrangement we have in the state you will be part of it”, he said. Meanwhile, the state commandant of NSCDC Makinde Ayinla Iskil thanked the governor for the attention and support given to the Corps in the state and creating the enabling environment for the Corps to operate effectively. 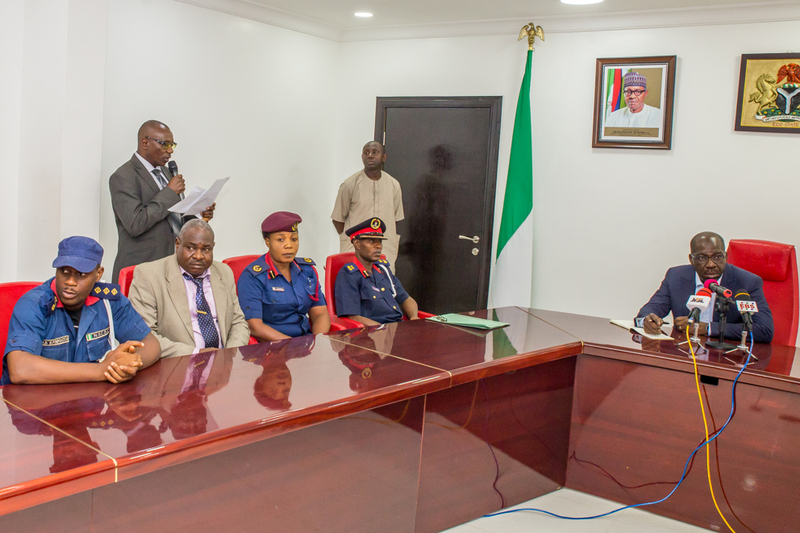 He said the Corps is 100 per cent ready to synergise with other security agencies to provide security for the state and rid it of criminal elements.